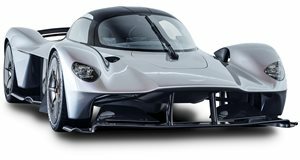 It will fill the void until the Aston Martin Valkyrie arrives if you have $3.8 million to spare. Aston Martin’s revolutionary Formula One-inspired Valkyrie hypercar is still a long way off with deliveries not scheduled to start until 2019. Until it arrives, the Vulcan will no doubt remain Aston Martin’s most extreme car, though unlike the Valkyrie it isn’t road legal and can only be tamed on the track which limits its appeal. But those chosen few who do get to experience the Vulcan on its natural race track habitat will have the pleasure of taming an absolute animal. Sadly, not many will be able to get behind the wheel as only 24 models were produced – and they’ve all long been sold out. Fortunately, one has now been listed for sale, but be prepared to pay a small fortune for it. 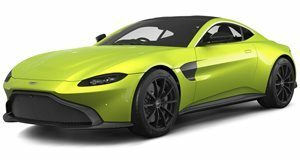 Currently available for sale via UK dealer Kaaimans, this Vulcan is number 14 out of the 24 cars that rolled out of Aston Martin’s Q Advanced Operations division, and is finished in an eye-popping pearlescent green paint job that’s the same shade of green as Lamborghini’s Special Verde Ithaca. Powering the vicious track toy made entirely from carbon fiber is a naturally aspirated 7.0-liter V12 engine that produces over 800-horsepower connected to a six-speed sequential transmission. This allows the track-only hypercar to reach 0-62 mph in 2.9 seconds and a top speed of over 200 mph. With a list price of $3.8 million, it’s probably safe to say this Aston Martin Vulcan is out of most buyer’s budgets, but it only has 200 miles on the clock so it’s barely been used which seems like a travesty. The Vulcan may lose some of its desirability when the Valkyrie is unleashed, but until then this is the next best thing if you’re looking for the most extreme Aston Martin track toy in existence. Beauty becomes the beast as Aston Martin enters a new age of turbocharged AMG engines and aggressive styling – we try the new Vantage for size.